易於使用的軟體工程繪圖工具，它支援所有當代建模標記法。Agilian提供了靈活的建模環境敏捷軟體發展從業人員有效溝通與UML BPMN ERD DFD 構思圖. Easy-to-use software engineering diagramming tool that supports all contemporary modeling notations. 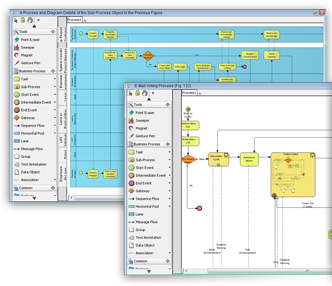 Agilian provides flexible modeling environment for agile software development practitioners to communicate effectively with UML, BPMN, ERD, DFD and mind map. A³ Platform is designed to help software development team to manage and improve software development process and software quality. A³ Platform provides customizable process environment to fit into any software development process includes agile and iterative processes. A³ Platform provides unified environment to manage requirements, manage tasks, handle issues and manage artifacts. Visual Paradigm for UML (VP-UML) is a UML design tool and UML CASE tool designed to aid software development. VP-UML supports key industry standards such as Unified Modeling Language (UML), SysML, BPMN, XMI, etc. It offers complete toolset software development teams need for requirements capturing, software planning, test planning, class modeling, data modeling, and etc. 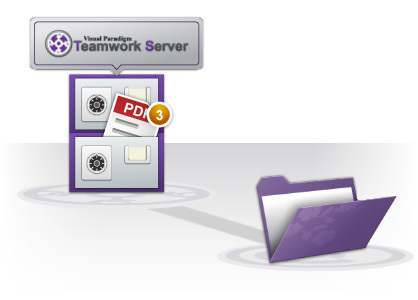 Visual Paradigm Teamwork Server is a central repository for both design diagrams and files. Development team members can access and edit the same design at the same time - working in parallel, not waiting in line.